Ownership / Access: Stichting Jean van Caloen ("Jean van Caloen Foundation"), Open to the public. Notes: Loppem Castle (Dutch: Kasteel van Loppem) is a castle situated in Loppem in the municipality of Zedelgem, near Bruges in West Flanders, in the Flemish Region of Belgium. It was built between 1859 and 1862 for Baron Charles van Caloen and his family, and designed by architects E.W. Pugin and Jean-Baptiste de Béthune in 1856. It is considered a masterpiece of civil Gothic Revival architecture. 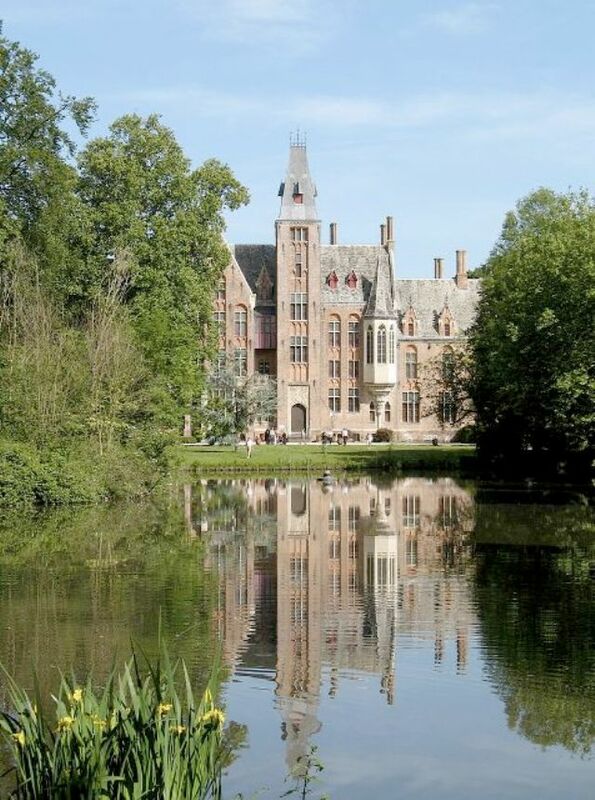 Although it is not the only castle in Belgium to have preserved its original architecture and interior decoration, it has been remarkably well preserved since the 19th-century. The castle has a richly decorated and furnished interior, and houses a collection of works of art (paintings, stained glass, statuary). The castle is surrounded by a romantic park with ponds and a maze. The castle and park are owned by the Stichting Jean van Caloen ("Jean van Caloen Foundation") and are open to the public.